While winter may traditionally be a time for hibernating, this year, why not embrace the season by experiencing the winelands at its finest? Think chocolate and wine pairing in front of a roaring fire; think long lazy dips in the heated pool and tension-melting massages; think warm cosy beds and views forever. From 1 July to 30 September 2018, Lanzerac Wine Estate will be giving guests the opportunity to spoil themselves with a hard-to-beat Winter Retreat Package. From the moment they arrive at the historic Estate’s tree-lined entrance, holidaymakers will be lavished with luxury. For starters, they will be accommodated in a uniquely decorated, elegant king or twin room, upgraded to the best available room type at the time of booking at no further charge. Plus, they will be greeted with a complimentary platter of sweet treats on arrival at their rooms. Spacious interiors and the utmost in privacy are key features of every room, along with a complimentary mini-bar that is replenished once daily. As part of the Package, guests will get to indulge in a full continental and English breakfast, as well as lunch at Lanzerac Deli which is famed for its fresh artisan produce and warm atmosphere. The lunch will include a Ploughman’s Board, featuring a delectable selection of mature cheddar, Karoo blue cheese, beef pastrami, cider roast ham, wild boar and salami, served with freshly baked breads, home-made Chardonnay onion marmalade, tomato jam and pickled beetroot. This will all be accompanied by a bottle of Lanzerac Pinotage – a nod to the Estate’s involvement in producing the very first bottle of Pinotage in the world. Speaking of Lanzerac’s multi-award-winning wines, vino-loving vacationers can taste five of the wines - Sauvignon Blanc, Chenin Blanc, Chardonnay, Syrah, Merlot, Pinotage and Cabernet Sauvignon - in the Estate’s Premium Range. Plus, they can see the magic that goes into making these vintages for themselves during a guided cellar tour. 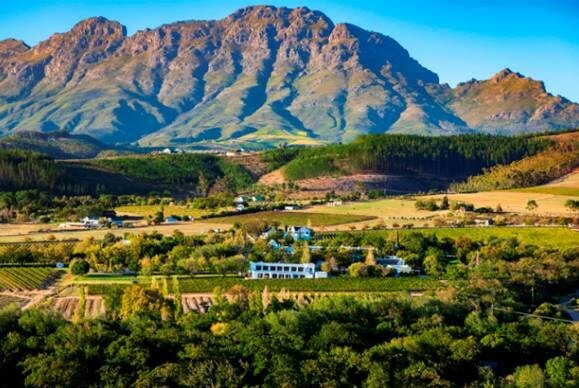 With the hotel being situated on the outskirts of Stellenbosch and offering an added value transfer service to the town at set times, a day trip is a must. 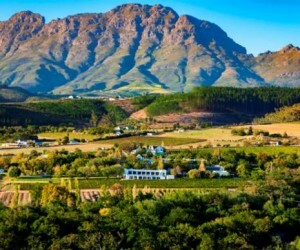 Things to do include meandering through markets, taking a gander at art galleries, dropping in at one of the many bars for a drink, stopping at curio shops, getting in a game of golf, sampling local fare at top restaurants and discovering the history of South Africa’s second oldest town while on a walking tour. After a long day of sightseeing, guests can head to Lanzerac Spa to treat tired muscles to a complimentary hour-long AromaVine™ Pinotage Full Body Massage. They can also make full use of the spa’s hydro facilities and take a dip in the toasty warm pool, unwind in the Jacuzzi, destress in the sauna, chill out in the steam room or just laze on a lounger while enjoying views of the vineyards and majestic mountains of Jonkershoek. End the perfect winter’s day by cosying up in front of a roaring fireplace with pre-dinner canapés and a glass of bubbles before feasting on classic dishes, reimagined with a modern twist, in the warm and welcoming Manor Kitchen. The Winter Retreat Package is available at a cost of R6,500 per couple per night. Additional nights can be added to the Package at a fixed rate of R4,550 per sharing room and includes breakfast. To book, or for more information, visit http://www.lanzerac.co.za.